Item 名稱: GREAT RICHLY WEALTH MONEY PIDTA JUMBO CLOSED EYE THAI AMULET LP PAE +CERT. PHRA PIDTA JUMBO ROON REAK BE.2531 NER KESORNG, 2 HAND CLOSED EYE LARGE MOLD 1st BATCH, OIL MEAT, BEHIND CONTAINS THE VERY FAMOUS ALPHABET SYMBOL YANT-PUT-SONT. NEVER WEAR, CERTIFICATE OF AUTHENTIC VERIFIED DD-PHA COMPANY. ORIGINAL EDITION, NOT REMAKE !!! Phra Pidta Maha Lab Jumbo first cluster of LP Pae is well known in Thailand and Asia nations as it has great Metta Maha niyom powerful. capacity to pick up benevolence and cherishing among encompassing individuals. Likewise it offers insurance to wearer. Great special amulet for gathering and wearing on awesome for insurance, riches, good fortune, and progression in all that you do. Useful for bring significantly adored by others all around (metta maha niyom), Powerful fascination cash lavishly riches, likewise keep life and security from and risky or hard mischance can not hurt you. he was at last made Abbot at the plain youthful age of 26 in BE2474 six years after the fact with the assistance of Luang Phor See of Wat Praphrand, he droned his first bunch of special necklaces to help back re-development of the sanctuary. From that date onwards LP Pae turned out to be notable as a priest who made great talismans after Jackie chan fall of the simple abnormal state clock tower with outer scratches while wearing the LP Pae Phra Somdej !!! Luang Phor Pae's talismans are kept by numerous Thais particularly Singburi and Bangkok zones since they regard him alot for the things that he have improved the situation them. Particularly the youthful kids that grew up to grown-ups, they likewise kept a considerable lot of his special necklaces for regard to their instructor who thought about them since youthful. 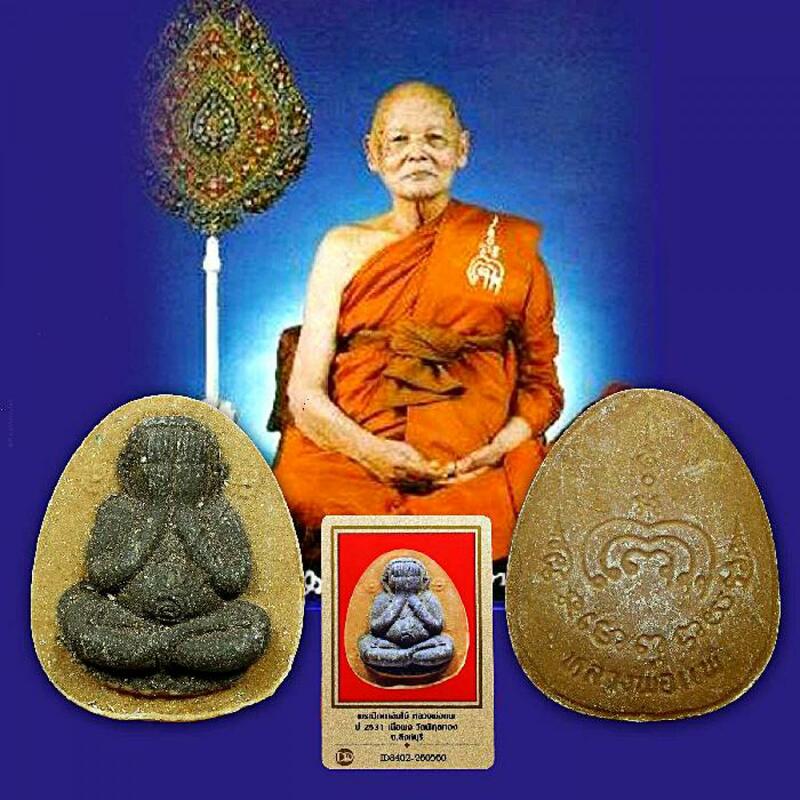 Luang Phor additionally made numerous Somdej and numerous other blessed ornaments for the raising of assets for healing facilities, beneficent causes like building streets, building schools and to encourage the poor. For LP Pae ornaments, he has prevail with regards to utilizing Chinnabarnchorn to favor them. Why we say he succeed, the significance is that all his Somdej special necklaces which he favored with Chinnabarnchorn, devotees can feel the impacts of Metta Maha Niyom when they wear it. There are numerous fruitful individuals and agent wears his talisman felt the impact as well. at the point when Luang Phor Pae begins to get ready for the sanctification of his special necklaces, Luang Phor will dependably go to Wat Mai alone (a sanctuary close to Wat Rakang) for paying admiration and interface profoundly with Somdej Toh and he will reflect there for a long time without sustenance and water before returning to begin his consecretion function at Wat Pikulthong. 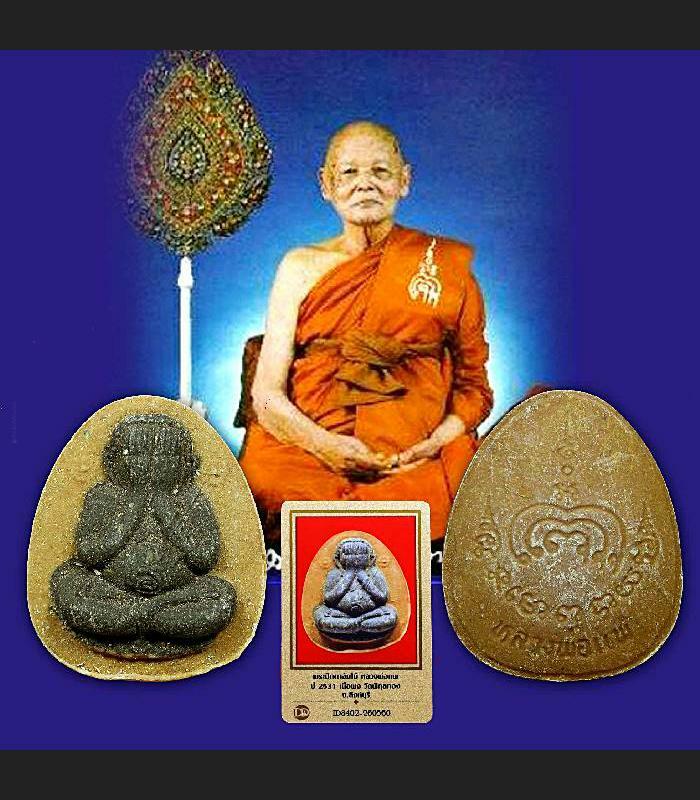 Great Blessings (Chinnabunchorn Blessings) and A Good Teacher (Luang Phor Pae), there are the majority of the reasons why individuals regard his fortune Luang Phor's talismans to such an extent.